Whether it’s the hub for a 40-hour working week for your business, a sometimes satellite office to keep you up to date, or a space to pay household bills and organise the family, a home office should offer a comfortable, practical space to get things done. So when it comes to design, creating an environment that ensures productivity is key. 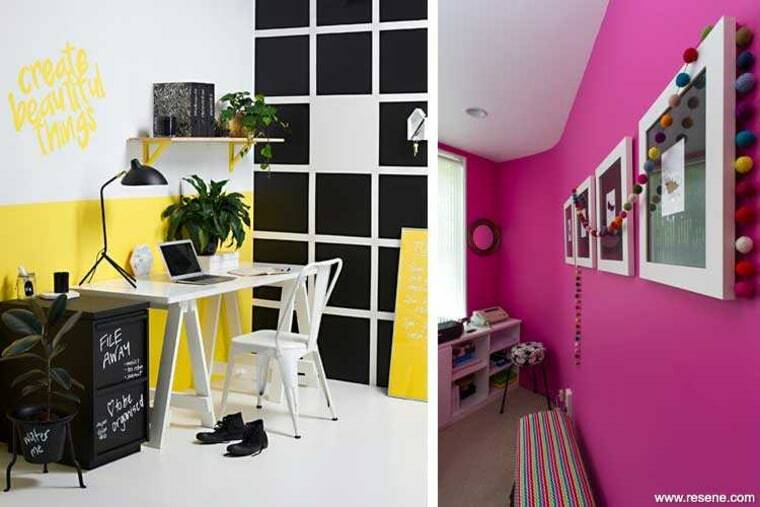 Left: This Resene Wild Thing study has a gridded blackboard wall as well as a filing cabinet and plant pot in Resene Blackboard Paint; the upper wall is in Resene Black White. Right: Resene Smitten in study and living room. Boring walls, sad ambience and dull-as-dirt office equipment is enough to send anyone to sleep, so design your office with motivation in mind. Think fun, inspiring and cosy, suggests colour consultant and interior designer Debbie Abercrombie. Unless it’s situated in an open area, she says, it need not reflect the home. It can happily have its own identity. Left: Resene Rice Cake in study and living room. Right: Resene Neutral Green in study and living room. 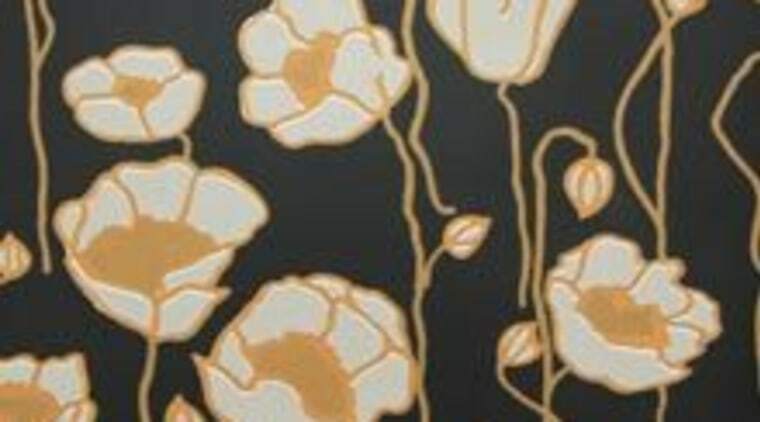 Beautiful designs like Mason Poppies (MPP01), featuring the colours Resene Nero, Resene White, Resene Bedrock and Resene Gold Dust, add instant glamour to a room. Or try conversation-starter wallpapers from the Crispy Paper range, such as 526516, a vintage newsprint, and 524215, which features metal lockers. Green is thought to increase creativity and is suggestive of nature and growth. The brightness and cultural connotations of yellow are off-putting to some, but improve mood and evoke enterprise in others. White provides a good, neutral base for art and furnishings to take the spotlight. And while red can provide a boost of energy, researchers at the University of Rochester found it’s likely to be short lived. They also observed that exposure to red caused students to perform worse on tests and lack concentration. A study in Resene Half Ash and Resene Gauntlet. If you can, embrace natural light. A desk right up against a wall in the darkest corner of the room probably won’t be conducive to creativity. Conversely, a desk that looks outdoors to greenery is highly motivational. Studies have shown that surveying greenery boosts brainpower, improves mood and makes us more attentive. If it’s not possible to sit beside a window, bring in a couple of pot plants. They have the same effect, improving focus and increasing productivity. Even with natural light, additional lighting may be needed in winter or on dark days. Most house lighting is inadequate for work. Your whole working surface should be evenly illuminated, without shadows near your hand. If you spend most of your time sitting during your workday, it’s imperative that you follow ergonomic rules. Splurge on a chair that makes you want to put in the hours. The right chair should be comfortable enough to use for hours straight (with micropauses in between), even if that only comes into play for all-nighters before a big deadline – in fact, that might be when it’s most important. Ideally, the right choice will also be available in finishes that coordinate with your design concept. For the good of your joints, posture and comfort, don’t skimp here. Avoid ‘bargain’ chairs and choose a well-made, fully adjustable, ergonomic chair. Your desk is important too. The right height is crucial (a desk specifically for office purposes is typically around 700mm, though it could be lower for shorter people), or you may find aches and pains creeping up on you. If your office space is tied into another room, the desk will be the defining object. Large desks will demand focus, while smaller ones can blend in. Finish will affect the attention a desk demands. Imagine a unique antique wooden desk versus an elegant glass piece. A change in flooring can help delineate the space further. 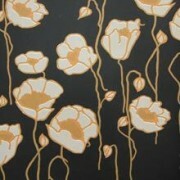 This can be achieved with an area rug, or even a different material. Manage supplies and everyday tools with organisers and clever storage solutions. A matching desk set does wonders for the cleanliness of an office. Find some cute coordinating paper trays, penholder and mouse pad, then bask in how composed it makes the room look. If you’re using a spare room, deck out the wardrobe with shelving or storage cabinets so that you minimise clutter in the main office area. Paint the inside of the wardrobe a vibrant colour that provides inspiration every time you open the doors. 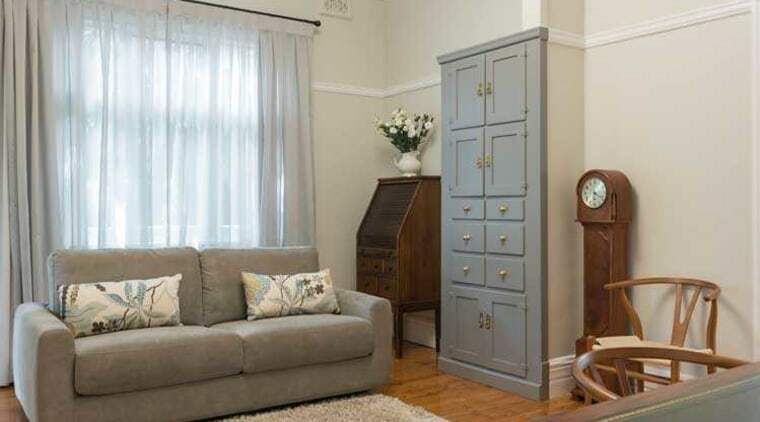 Add finishing touches like artwork, personal curios and tokens of success to complete the space. 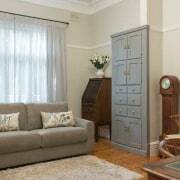 If there’s room, add a comfortable armchair for taking a break or for reading papers and books in a more relaxed state. Comfort is often an overlooked perk in the home office – use it to your advantage. Big or small, your office need not be dull and boring. Embrace a design aesthetic that suits you and watch your creativity soar.